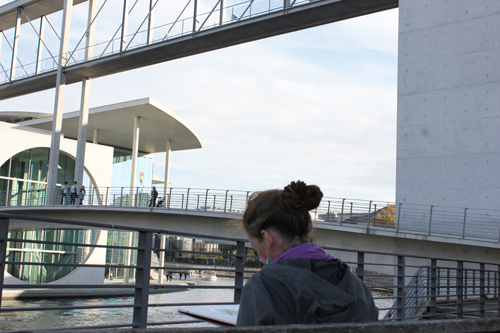 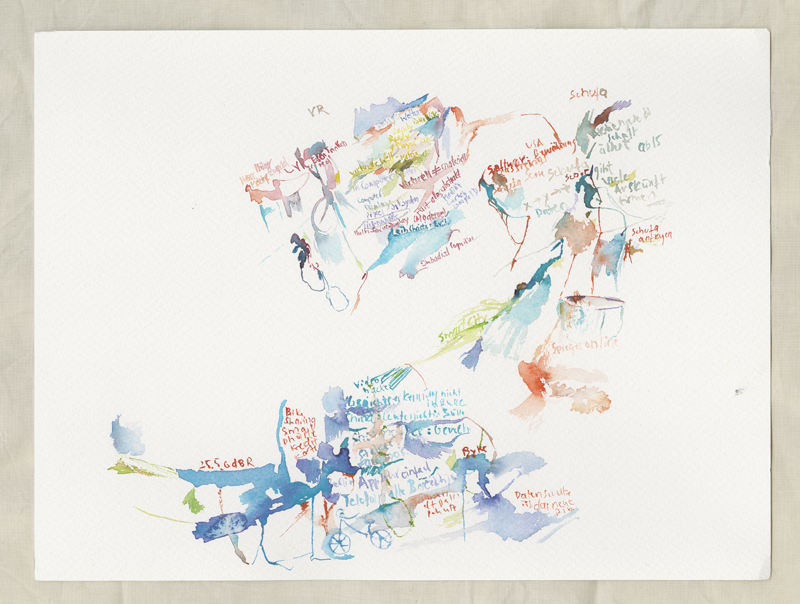 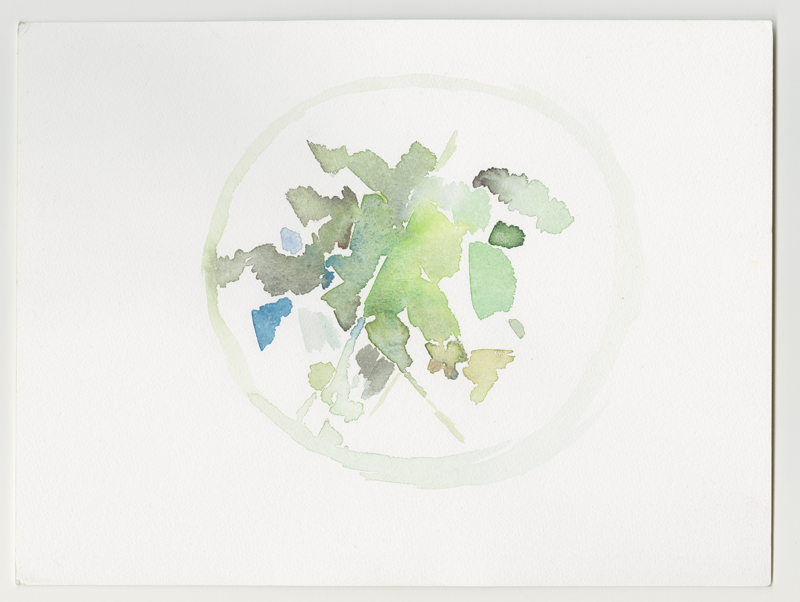 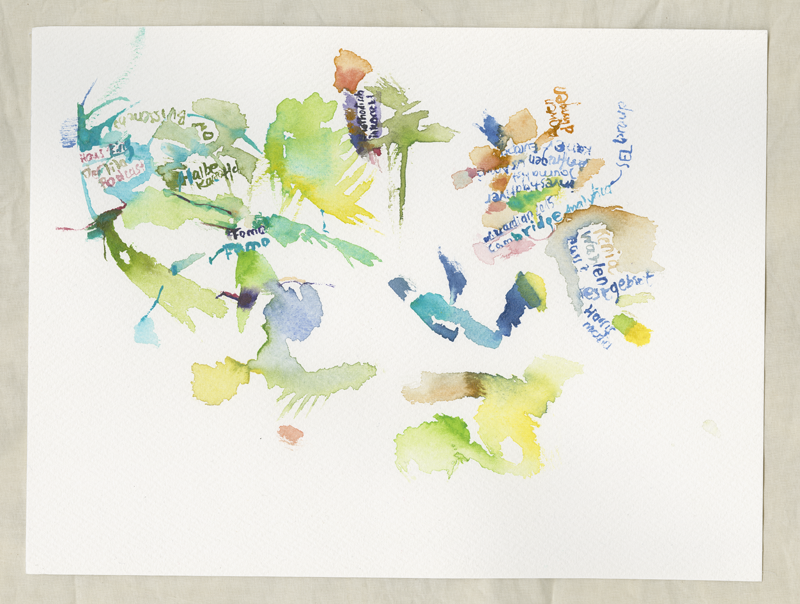 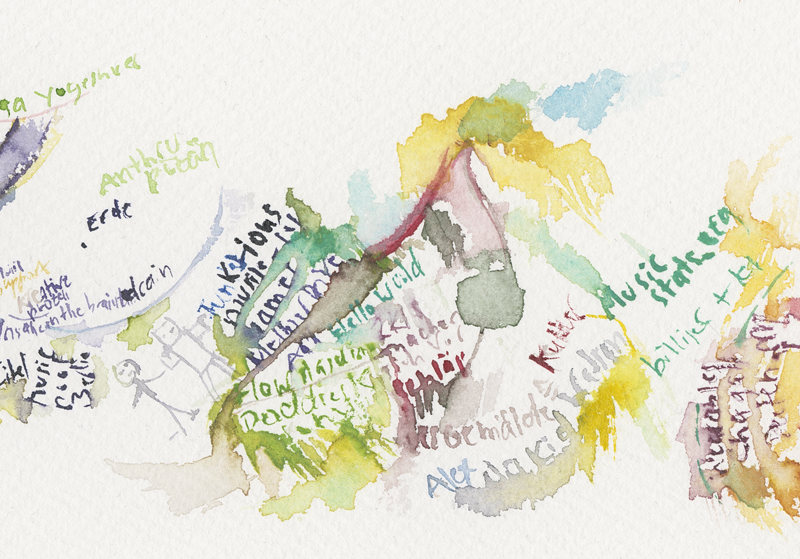 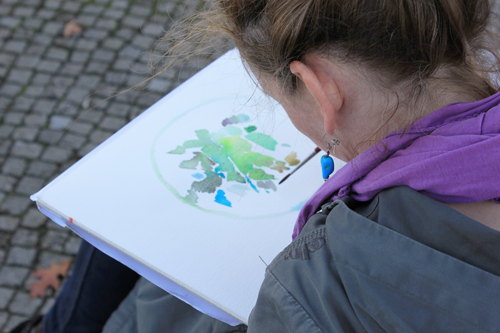 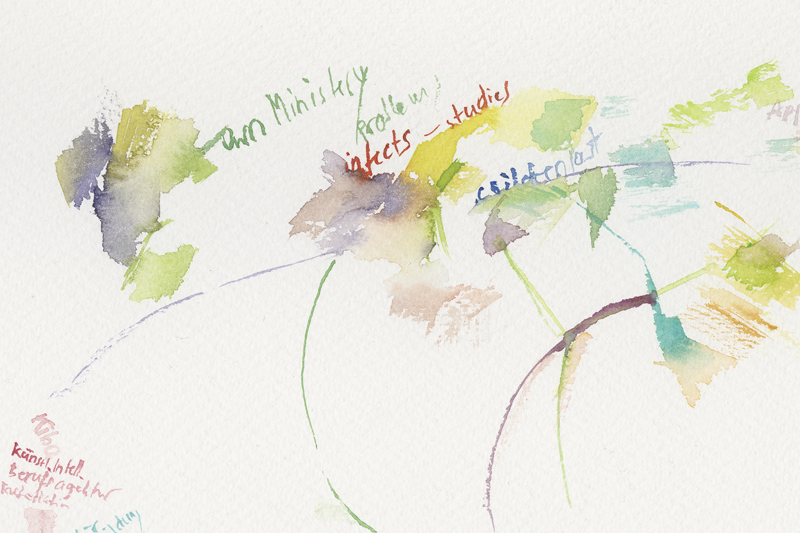 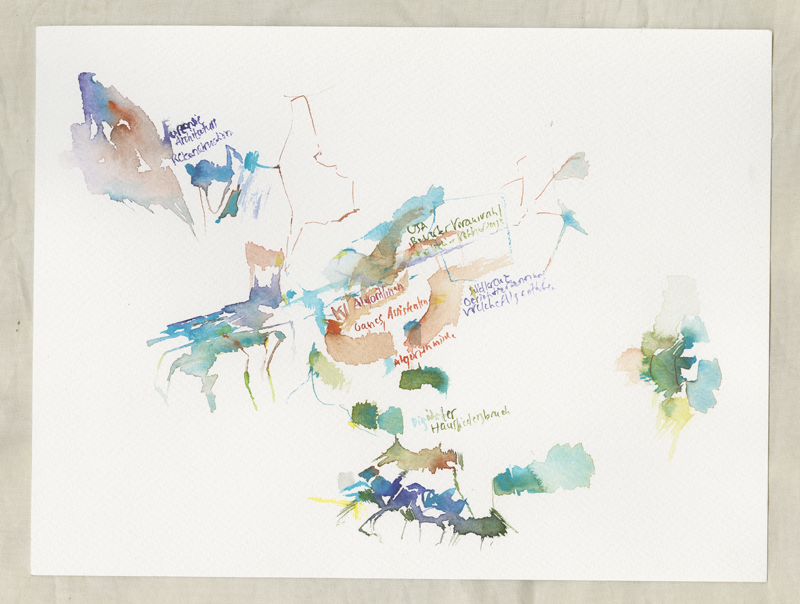 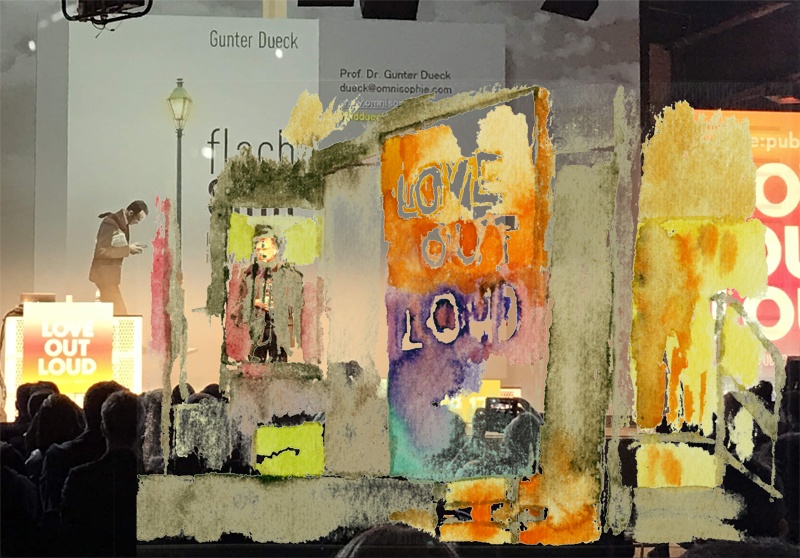 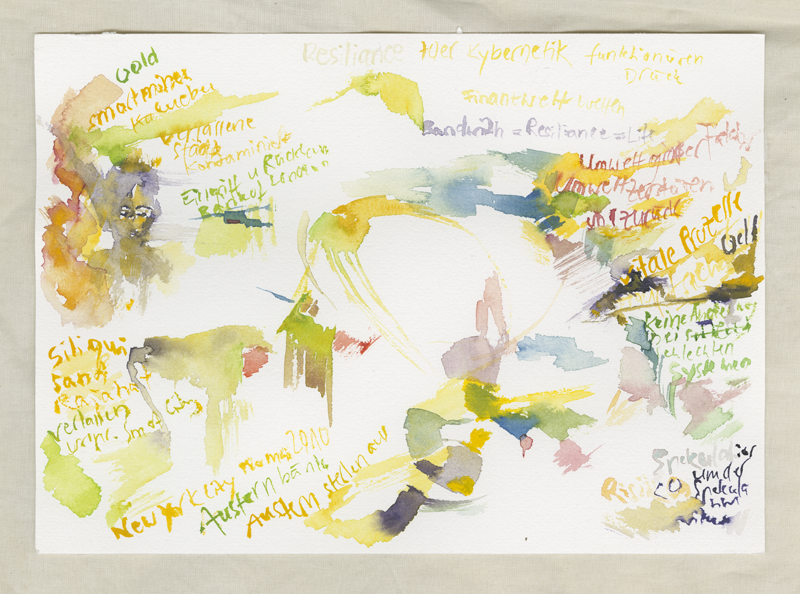 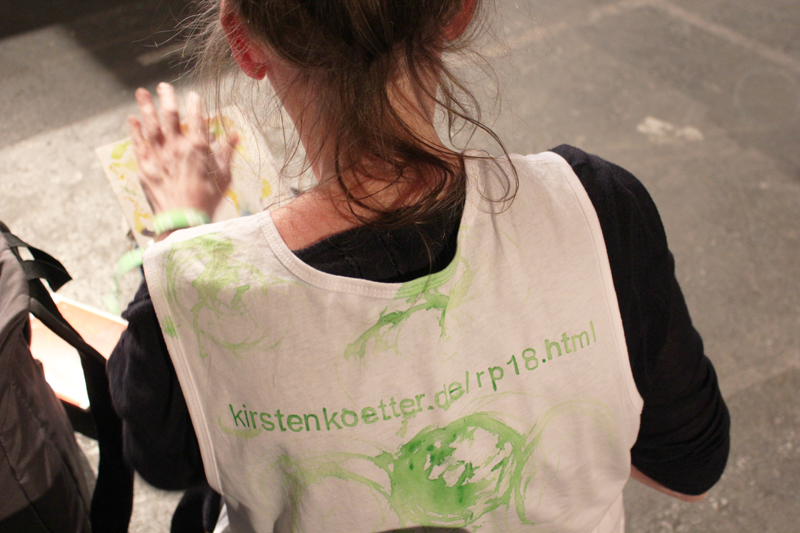 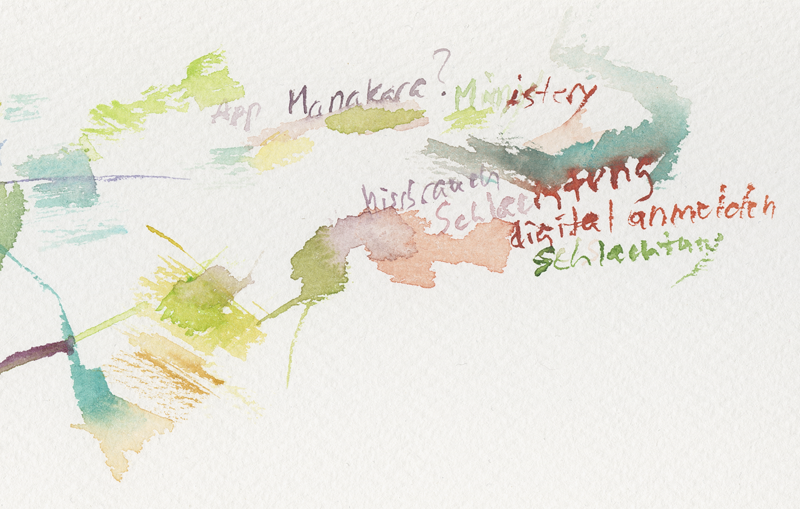 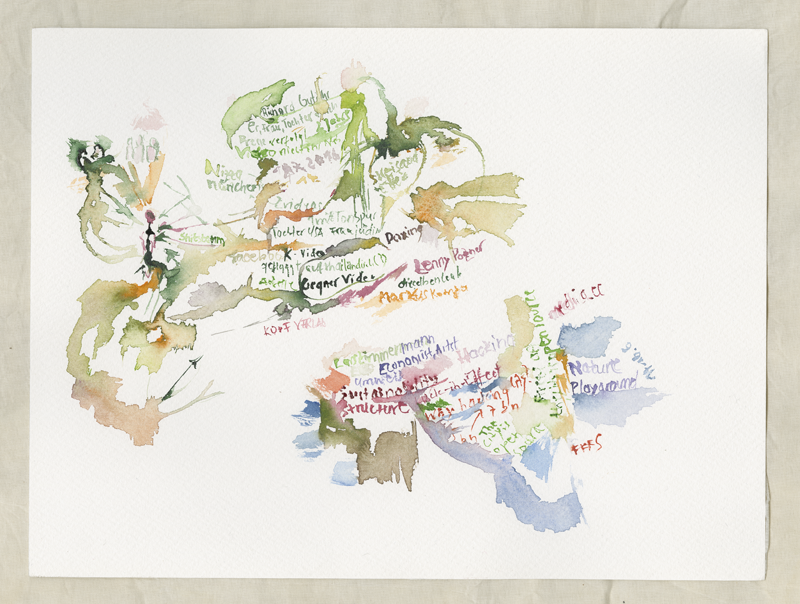 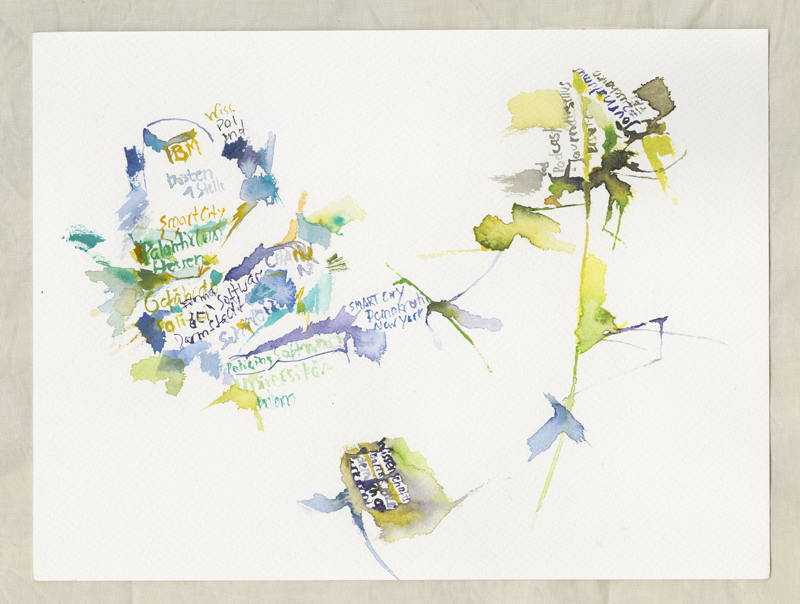 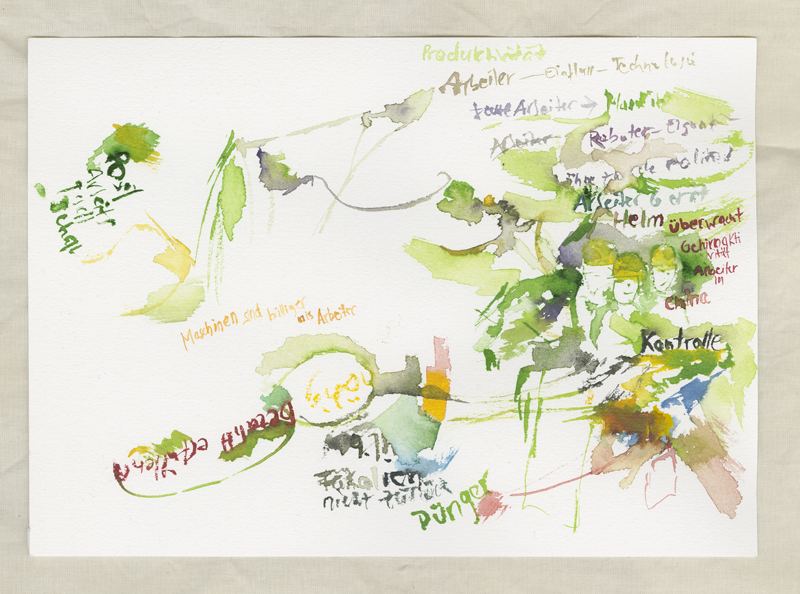 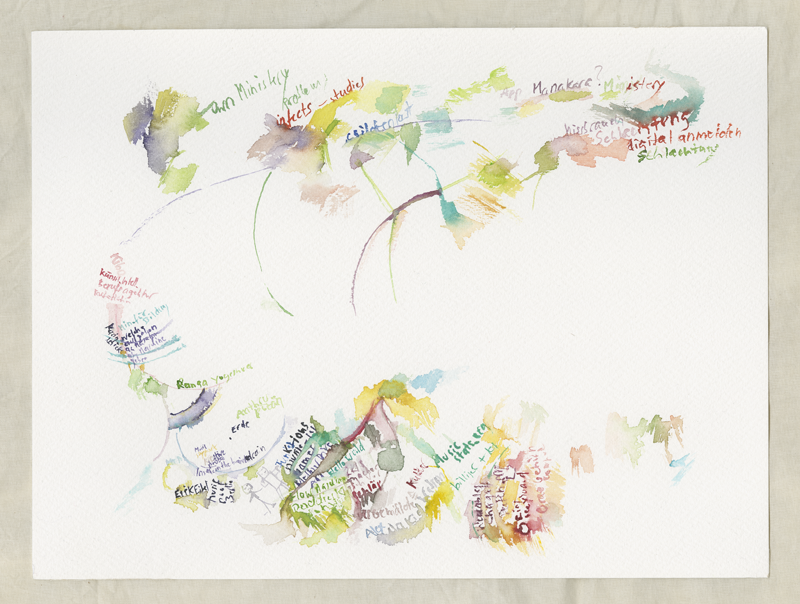 Kirsten Kötter painted watercolor protocols at the lectures of re:publica 2018. 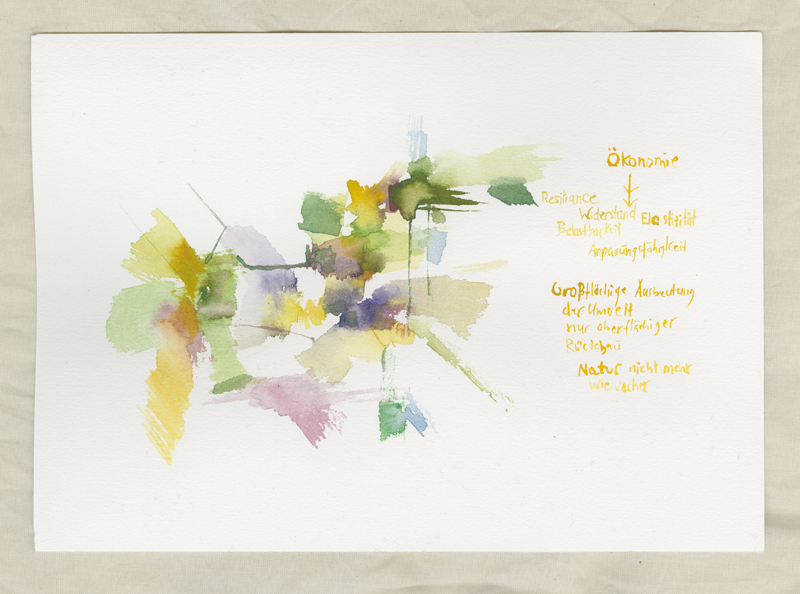 Kirsten Kötter malte Aquarell-Protokolle in Vorträgen auf der re:publica 2018. 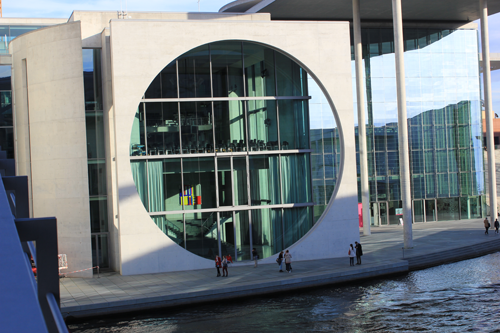 The round window is to represent democracy and open society. 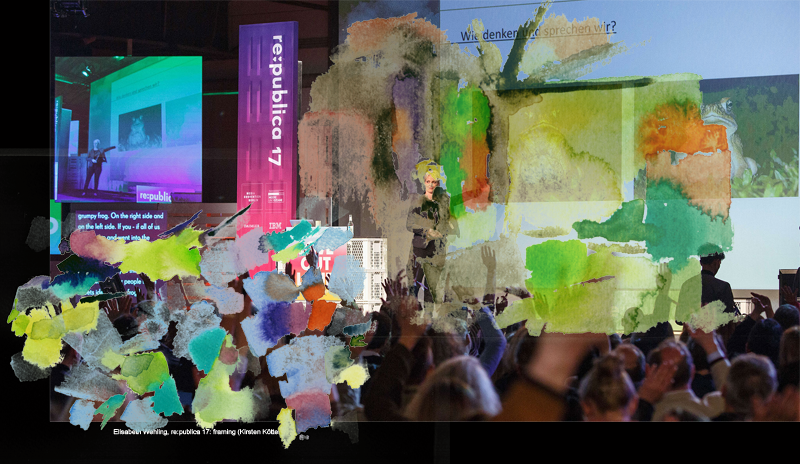 Do the round form and the green colour of re:publica 18 represent the same? 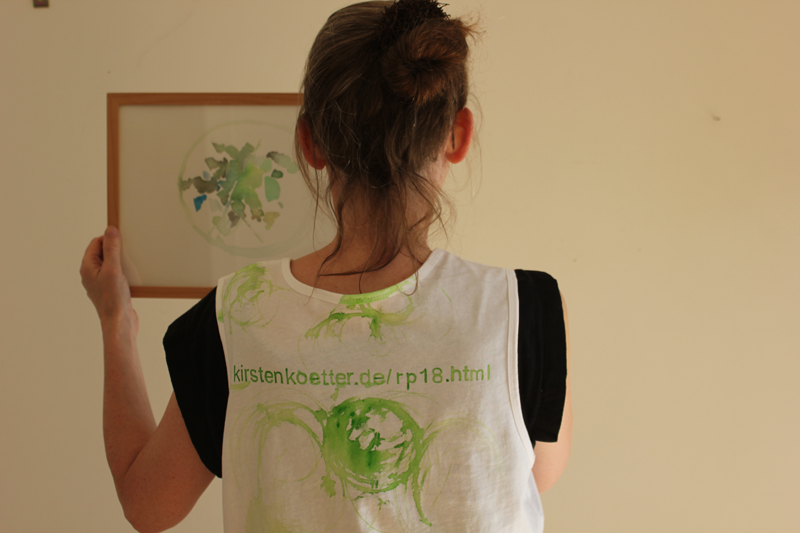 Or do they stand for filter bubbles and new beginning and innocence?